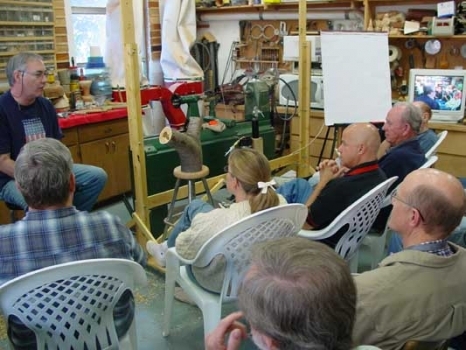 At the October 4, 2003 meeting Lyle Jameison from Traverse City, MI presented two major sessions. 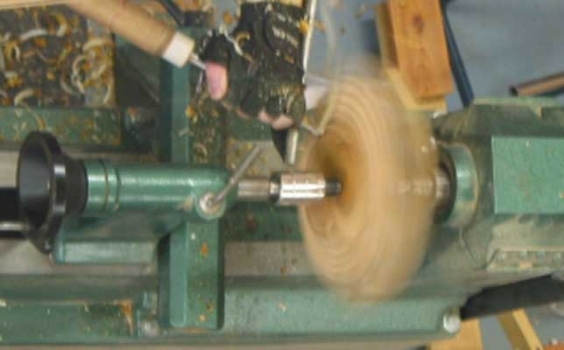 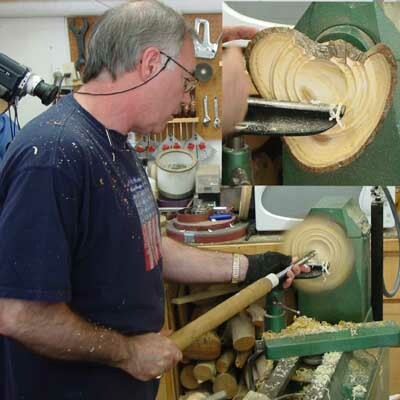 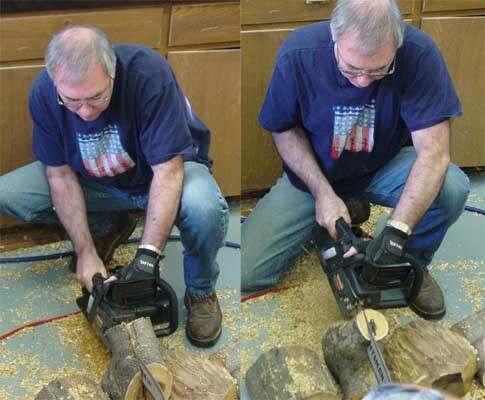 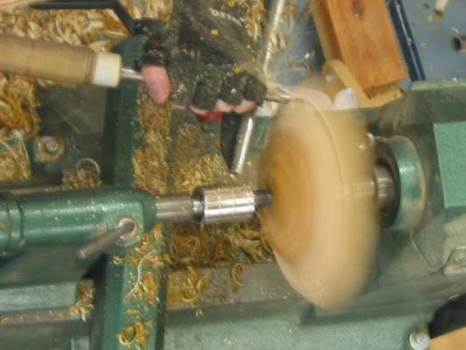 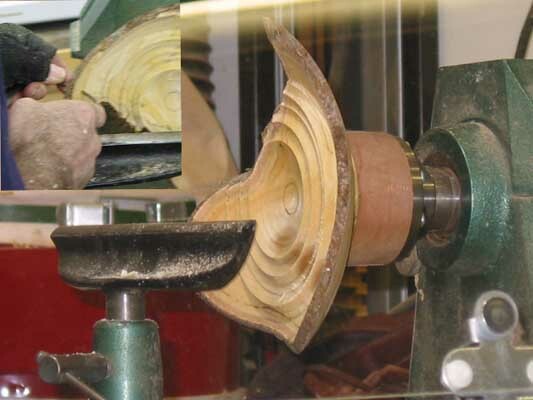 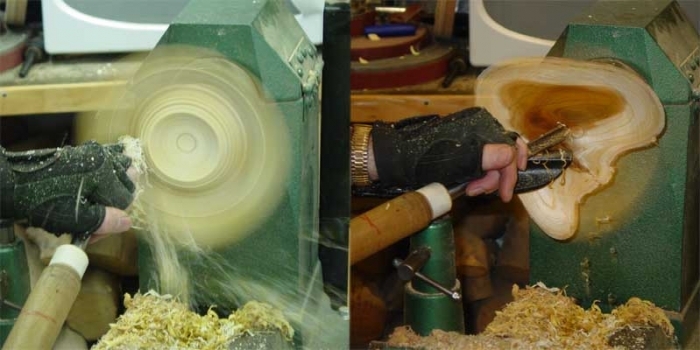 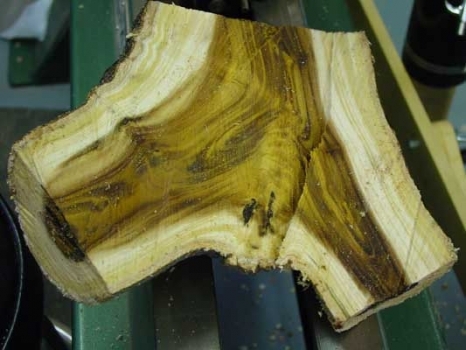 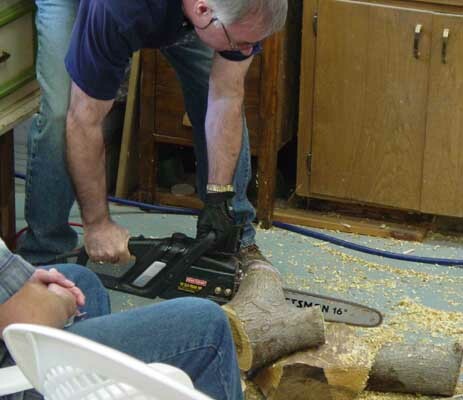 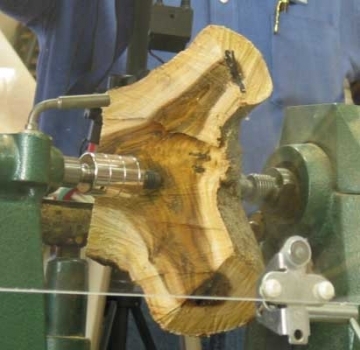 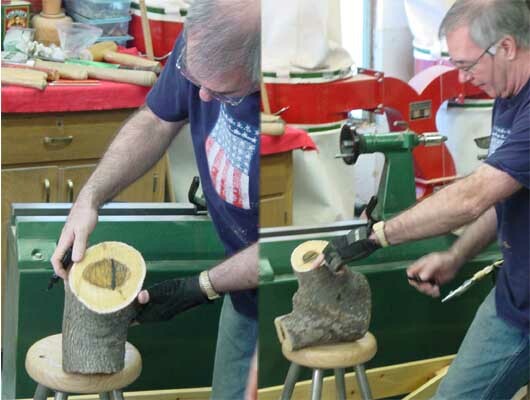 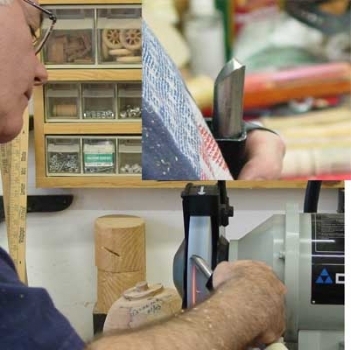 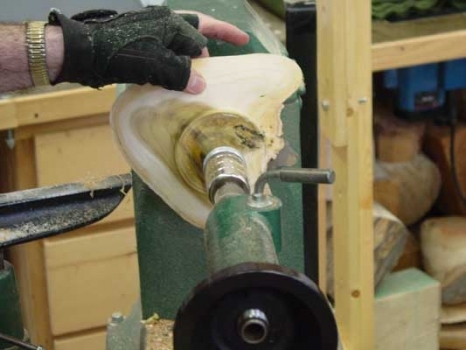 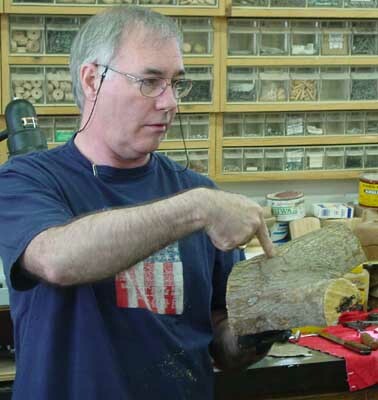 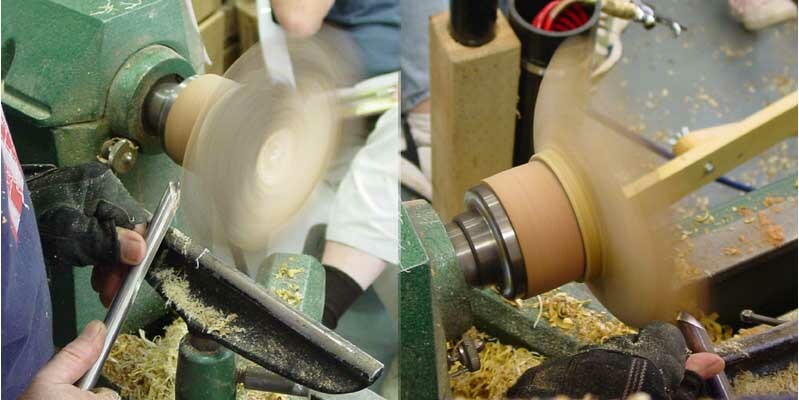 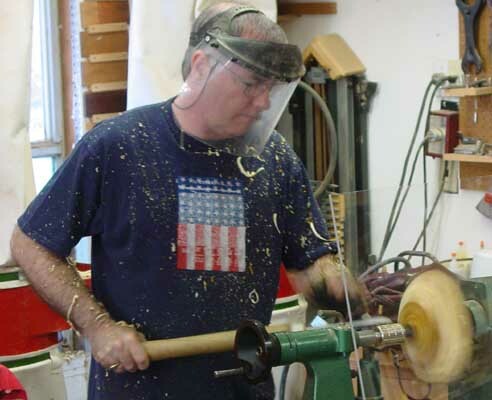 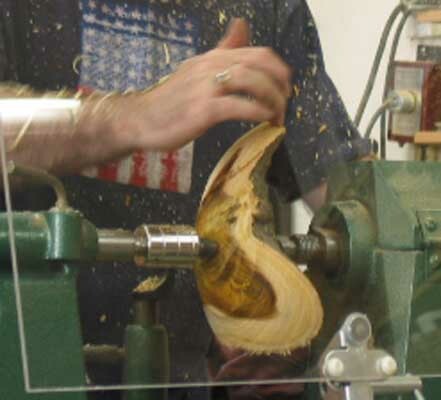 In the morning he stressed aspects of lathe setup and safety and then turned a natural edge bowl beginning with a log crotch. 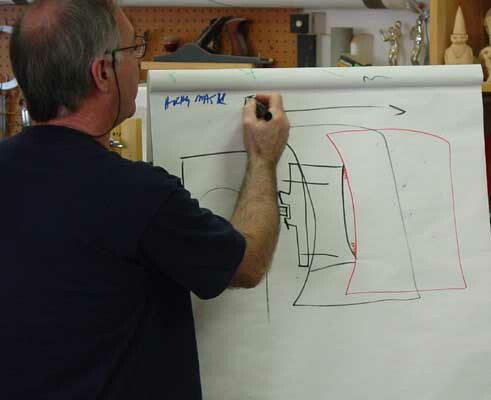 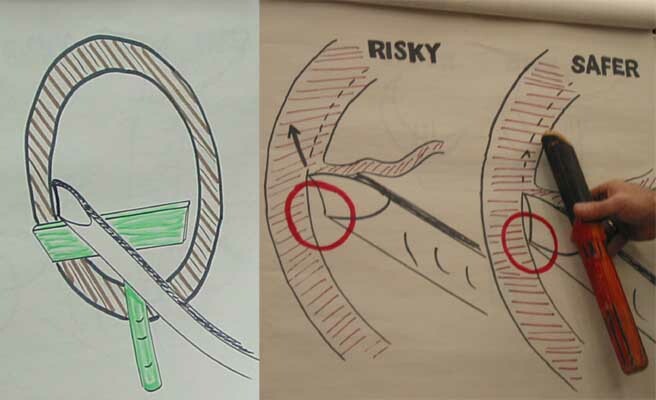 The photos from that part are presented in detail below as instructive to turners at all levels of experience. 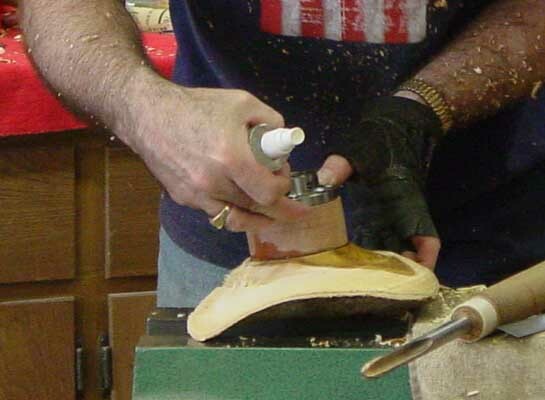 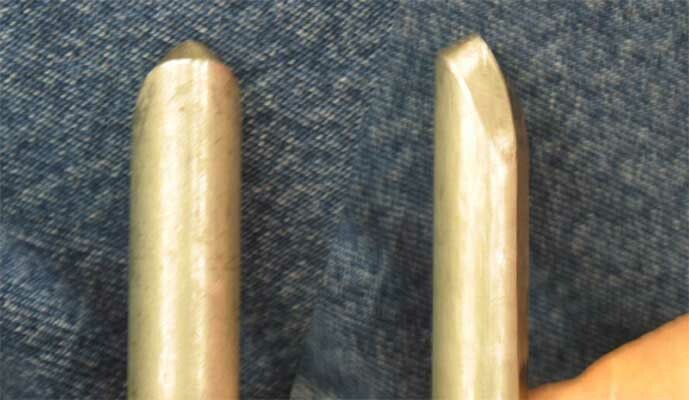 In the afternoon he demonstrated his technique for making hollow forms and hollow sculptural forms for which is is famous. 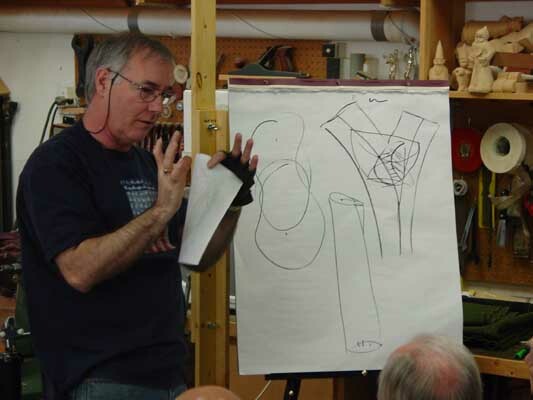 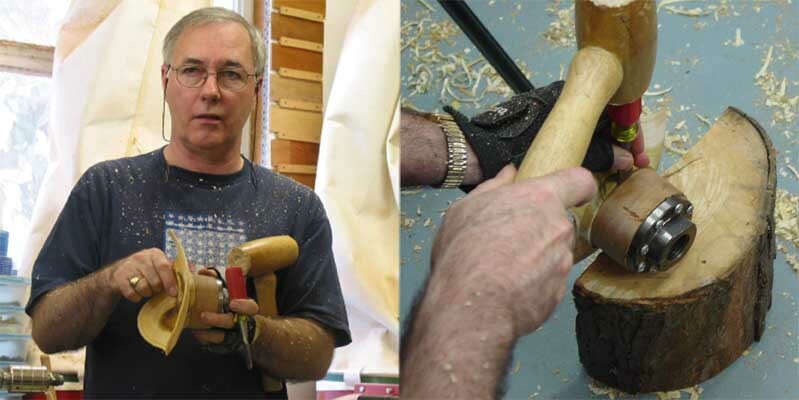 See his website at Welcome to Lyle Jamieson for examples of his hollowing rig and galleries where his work is shown. 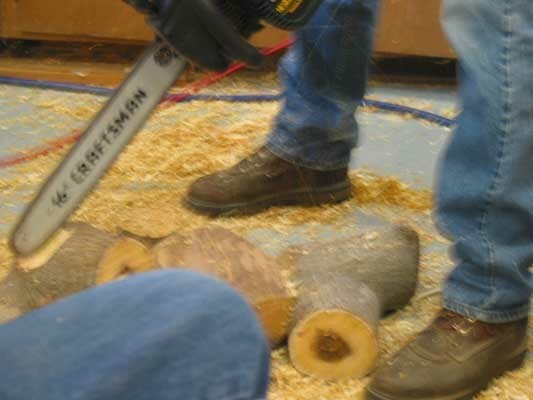 Only a few photos from that session are included here since that information is readily available elsewhere.